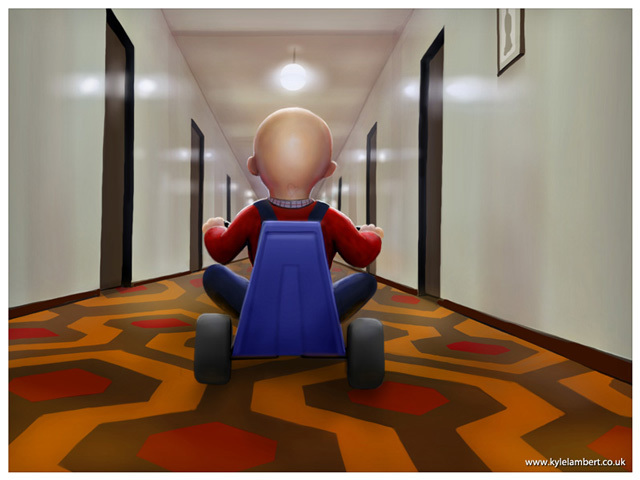 Illustrator Kyle Lambert began following Toy Story 3 director Lee Unkrich on Twitter and learned about his passion for Stanley Kubrick flicks, in particular The Shining. 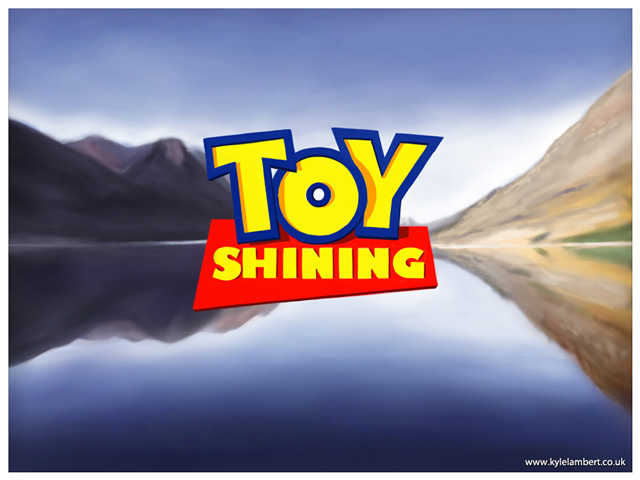 Kyle then decided to create a series of clever mashup paintings of Toy Story and The Shining on his iPad, which grew into a two month project called Toy Shining. 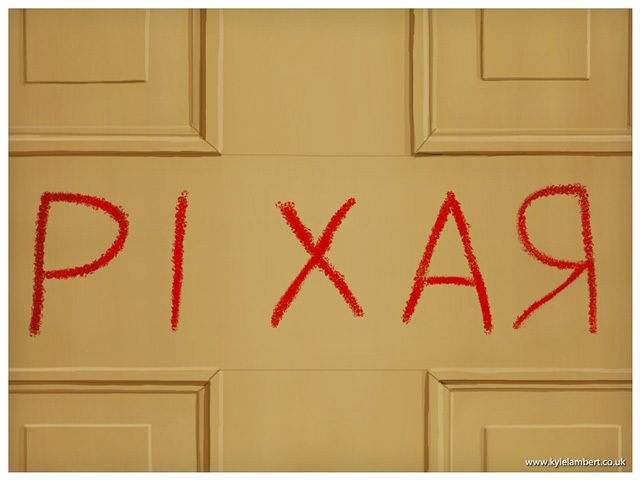 It started off with a few notes on a post-it describing how the two movies could be combined and quickly grew into a 25 panel storyboard. 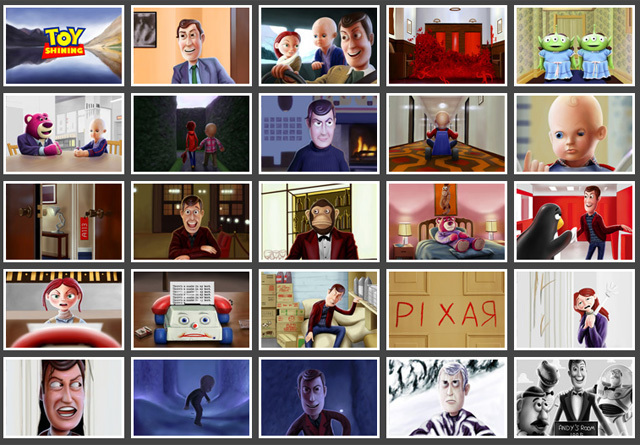 Once I had sketched each composition I set about painting the panels with my iPad using the Brushes app. 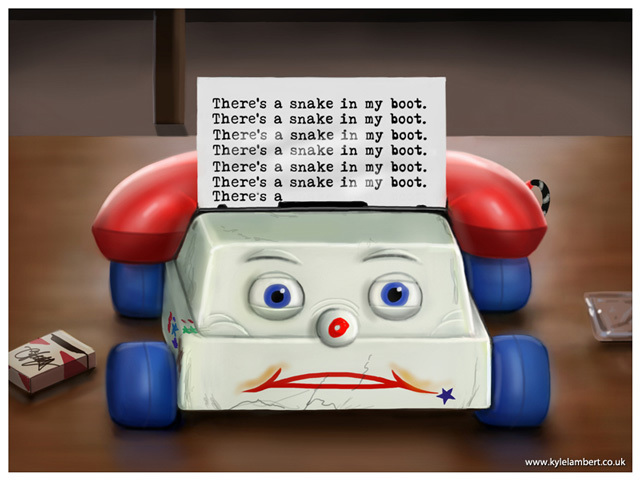 The project took around 2 months to complete in my spare time from idea to the finished storyboard.